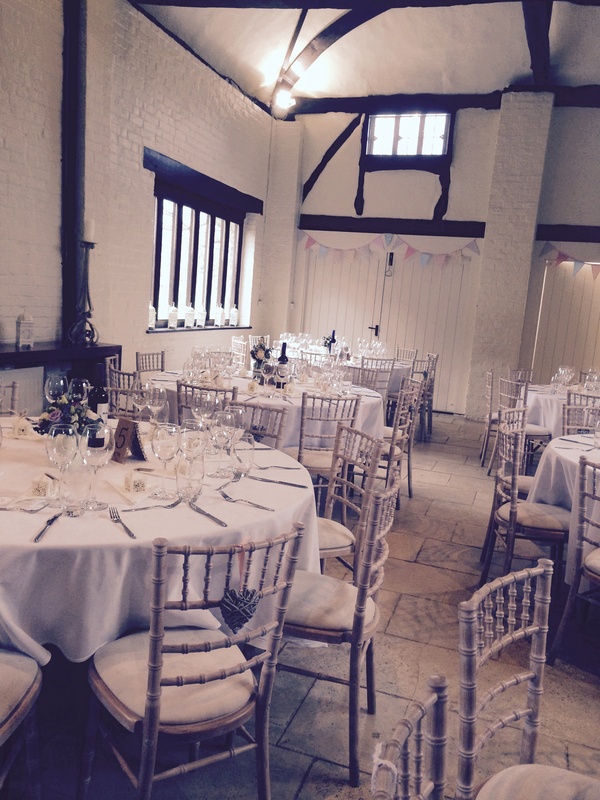 Spring Wedding at Nether Winchendon & Tipis Open Weekend! 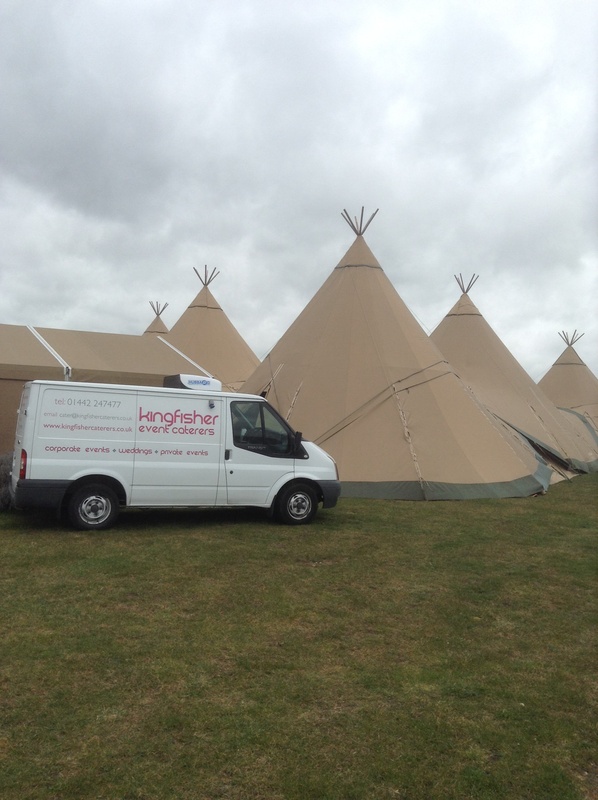 Busy weekend for the KF team, Ian and his team looked after Phil & Joy’s wedding reception at the beautiful Nether Winchendon; and John, myself & Jodie went to meet lots of potential new couples at Tipi4Hire open weekend at a Lavender Farm near Hitchin. So Saturday morning, Ian and his team made their way to the beautiful Buckinghamshire countryside for Phil & Joy’s celebration. After a great church wedding in Haddenham, the guests arrived on a vintage double-decker bus to be greeted with Prosecco and Kingfisher canapés. Despite some light rain, the sun shone through and the guests were able to relax in the beautiful courtyard area and sample the local country side and amazing views. Speeches and cutting the cake happened before the wedding party sat down to a breakfast consisting off Slow Cooked Hog a Roast with stuffing, apple sauce and crackling. Accompanied with Homemade coleslaw, roasted Mediterranean vegetables with salsa verde and green beans, peas, rocket leaves and sugar snaps, balsamic olive oil. also Rosemary and Garlic roast potatoes and flavoured breads and butters. 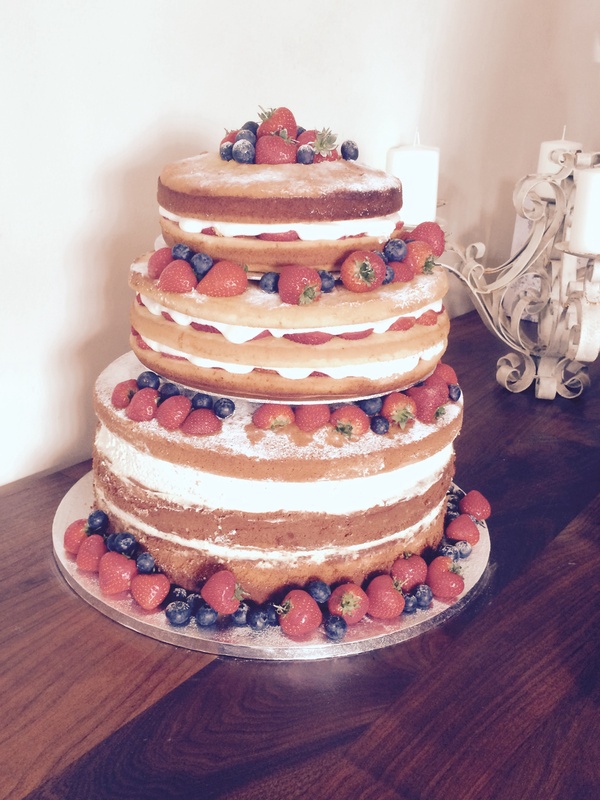 Wedding cake followed served with berries and cream. Dancing to a great DJ and a homemade buffet were a great finale to the night. The bride and groom were absolutely delightful and a pleasure to serve. They were last ones to leave and turn the lights off in the barn on an amazing day. 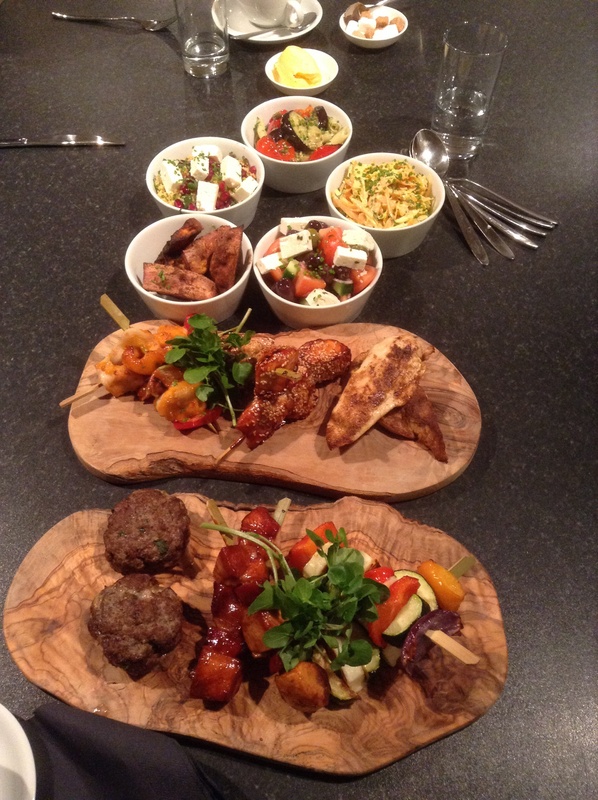 Over at Lavender Farm Head Chef John cooked samples from our sliders evening food menus including fish n chips, mini beef burgers and chips and bean burgers, all served in our mini boxes, they went down a treat. Sweet canapés also circulated with teas and coffees. We met some lovely couples and their families, it’s great discussing their plans and running through ideas and menus with them. With lots of interest in Kingfisher and with lots of recommendations it looks like 2016 could be another busy year for us! And we’ve only just kicked off this season! Great news, as we all love it with a passion! 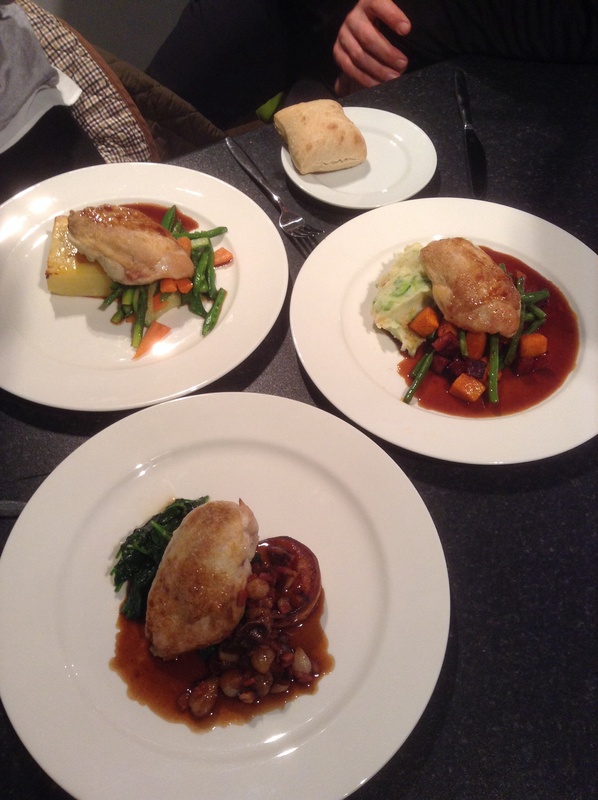 Chicken main course, 3 different ways, but which would you choose? With the wedding season almost upon us, One of our lovely couples came into the kitchens on Friday for their menu tasting. 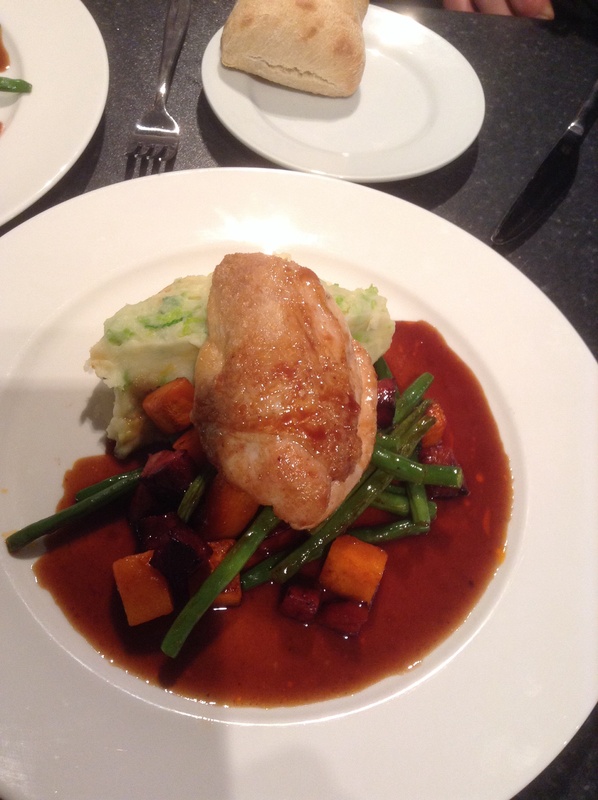 Undecided on which chicken main course to choose, John cooked up 3 signature dishes from our new menus. The choice they faced was either Corn fed chicken breast, warm salad of butternut, chorizo and green beans, champ potato, Madeira jus; or Pan roast chicken breast, fondant potato, spinach with pancetta, button mushrooms, baby onions and red wine jus; Or grilled breast of Chicken with dauphinoise potato and summer vegetables? They left full and still no definite choices made! So which would you choose? Tough decision, as all were delicious, as if there isn’t enough things to decide on for your big day! 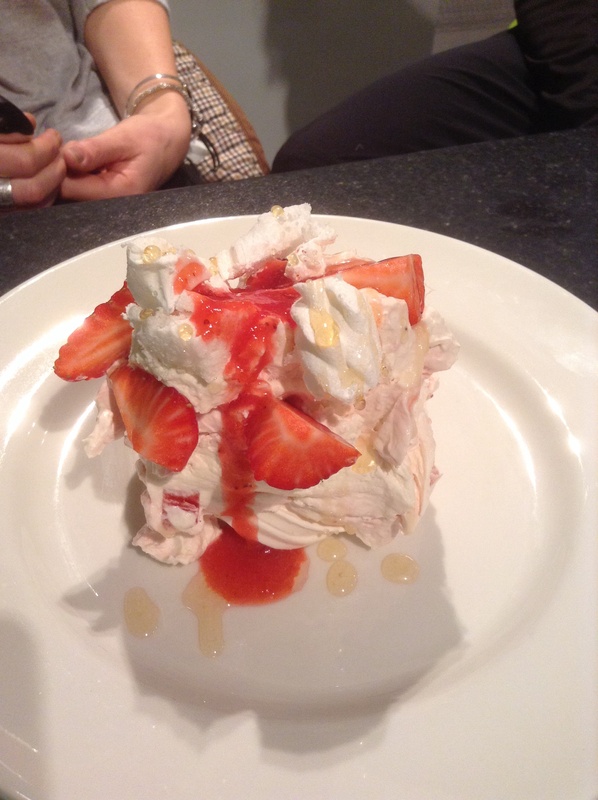 Then to finish how about Eton Mess! Yum Yum, no contest here!! Personal touches that make your day unique to you! Through the wedding season we cater at a wedding almost every weekend, and over the years I can honestly say that no two are the same! Or even remotely similar! 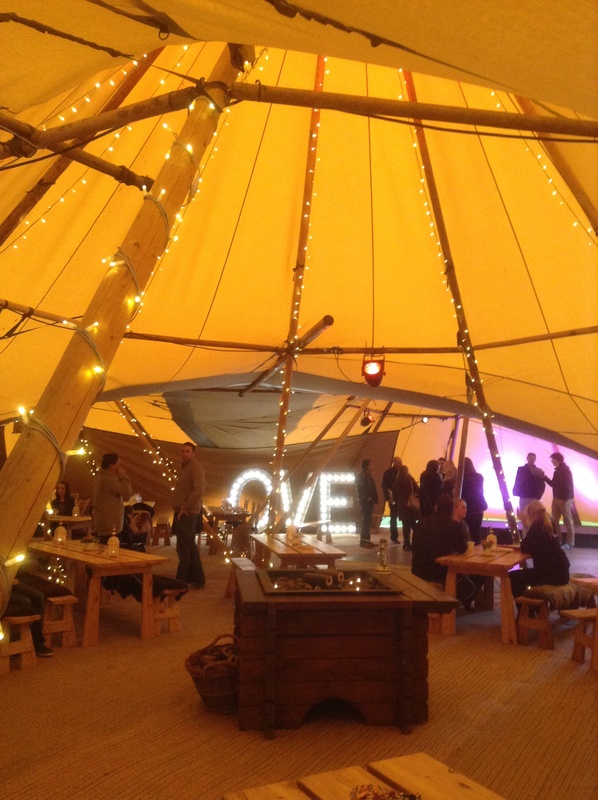 Making it personal, with little touches of your life together makes it much more special and given the freedom of having your wedding in a marquee or tipi allows you to start with that blank sheet. 1. Decorate an area of your reception with pictures of you both growing up. It will make a fanstastic talking point, lots of couples do this, it works very well. 2. Personalise your wedding day menu! Perhaps use local produce to where you’re getting married or choose cuisine that has a personal memory tied to it. Met at a beach party in Thailand? Serve fish and chips and Thai noodles in boxes, Got engaged in Italy? Then serve a delicious pasta dish. 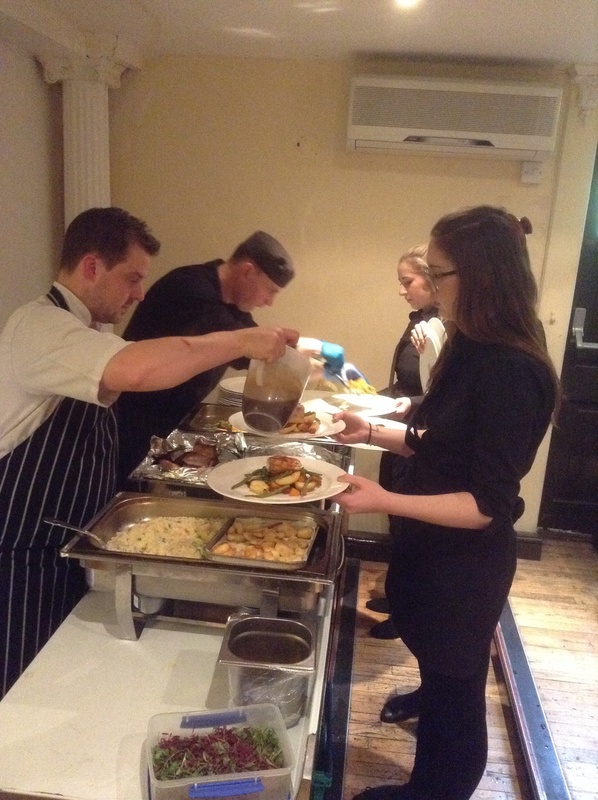 We have plenty if menu choices and can tailor make that menu to suit you perfectly. 3. Welcome drinks can also symbolise you both, we had a couple from New Zealand who flew in authentic New Zealand beers and a couple who got married in the late Autumn and collected old jam jars to serve ginger beer cocktails, these were dispensed from big glass jars, which were placed on upturned logs and decorated with apples, looked fab! 4. Name your tables after places that are special to you, such as the place where you first met or where the magic proposal occurred. Or use photos of the two of you in the special places to decorate the tables. 5. Hand-written place names will add a personal touch to your day. While you’re in the handwriting mood, take the time to write a special few guests a thank-you note for all their help in the lead-up to your special day. A couple last year had an envelope with a thank-you for each guest hung on rope with pegs, this also doubled up as their table plan and seating arrangements. 6. Incorporate something that’s special to you both, one of our couples played in a drumming band, Batala, it was a fantastic sound and very noisy, set the pace for the day! 7. Run the theme throughout the day, one of our couples got married in a village hall, decorated it with bunting, arrived in a camper van and had desserts supplied by friends and family of Apple pies, cheesecakes, fairy cakes. 8. Another good idea to incorporate your guests is what James & Hayley did by getting their guests to write wish messages for them on a big board, they even make this very personal quirky sign! 9. Recruit talented friends and family – maybe one could sing while you sign the register and another could make your cake. 10. Finally this should really be at number 1! As this is by far my personal best! Last summer one of our grooms Ed stole the show with a 1000 origami paper cranes folded individually by himself which he hung from the tent with fishing wire, the effect was stunning! It is a Japanese legend, that promises to bring eternal good luck for the couple. It took him almost a year to make them! That’s dedication! I hope that’s given you a few ideas, I’m sure there will be more great personal touches over this summer, I can’t wait to see them! Tudor Oaks Lodge – Take 2! 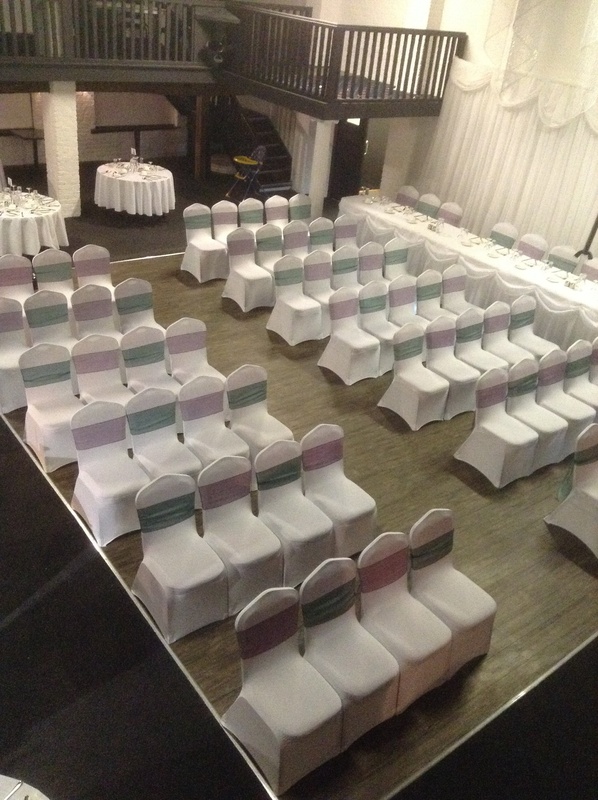 Saturday saw the KF team back at the beautiful a Tudor Oaks Lodge, this time for Jenna & David’s wedding reception. The room was first set for their blessing! A lovely touch that Tudor Oaks can now offer with the space & facilities for the guests to move whilst we turn the room around for the meal. Jenna & David arrived to a room of family and friends to say their vows, they were childhood sweethearts whose personal vows left not a dry eye in the house, it really was a moment to remember. After the signing of the register and photos they moved to the pub whilst the KF team turned the room round quickly ready to greet them back for their wedding breakfast. With leek & potato soup with crispy leeks & gruyere toast to start, followed by chicken breast, champ potato, warm salad of chorizo, green beans and roasted butternut with Madeira jus; and sticky toffee pudding, salted toffee sauce and clotted cream for dessert; it was a delicious meal. 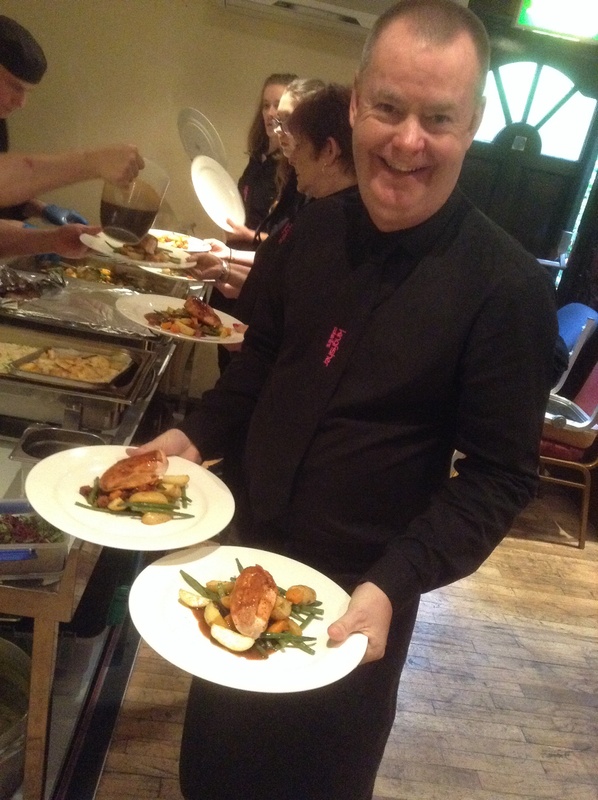 All cooked and served to perfection by John & Stuart. Tea, coffee, homemade petit fours and champagne followed for some great speeches. Music and dancing followed, a truly joyous occasion. Once again lovely for us to be part of David & Jenna’s special day and to be working alongside Nasia and Kevin at Tudor Oaks once again.